Here we are, halfway through summer, but it's hard to believe with the relatively cool days and intermittent showers we've had so far. 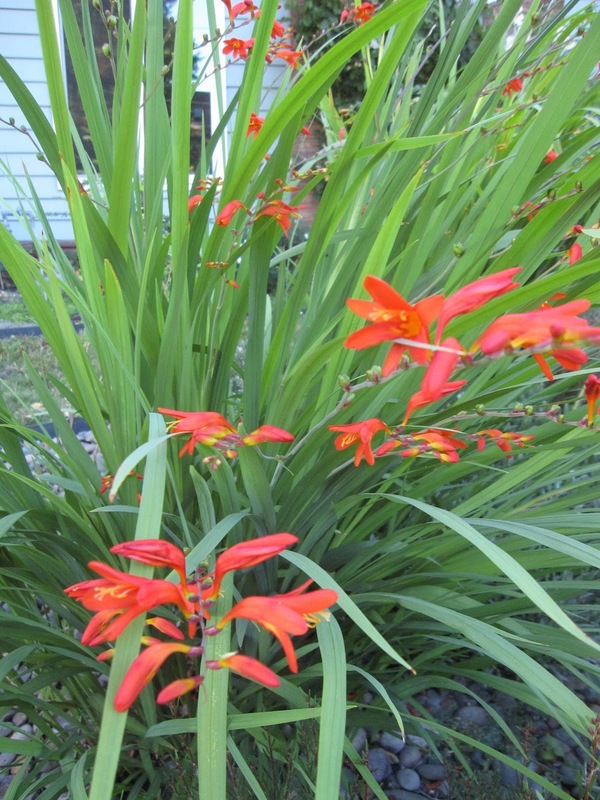 It's easier on the watering chores, but I confess I'm ready for some heat about now. Each month on Bloom Day, I look around my garden and think I don't have much blooming, but when I get down to photographing what IS blooming, I find I have quite a few flowers to catalog. 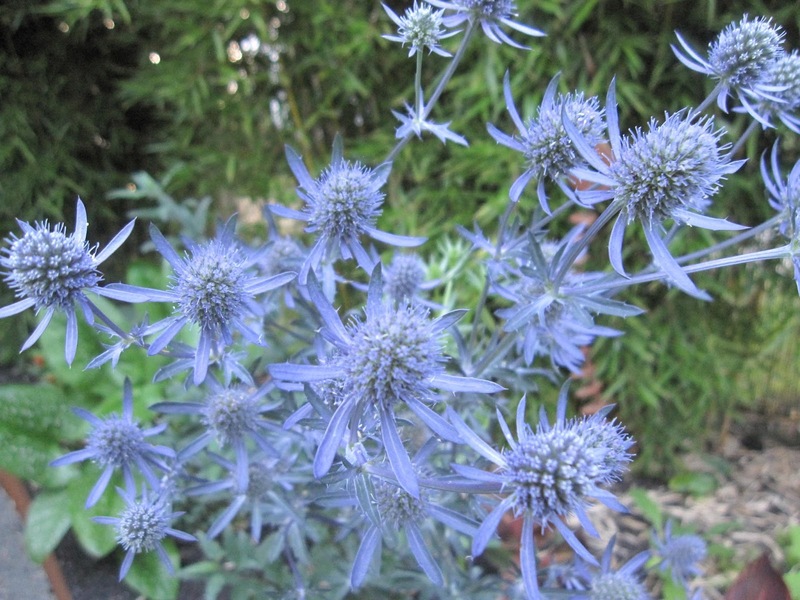 Let's take a look in a color survey, starting with blue. This is a promiscuous Eryngium, probably E. planum that started off as 'Jade Frost' but has since crossed over to the "Dark Side" - as in plain green foliage. 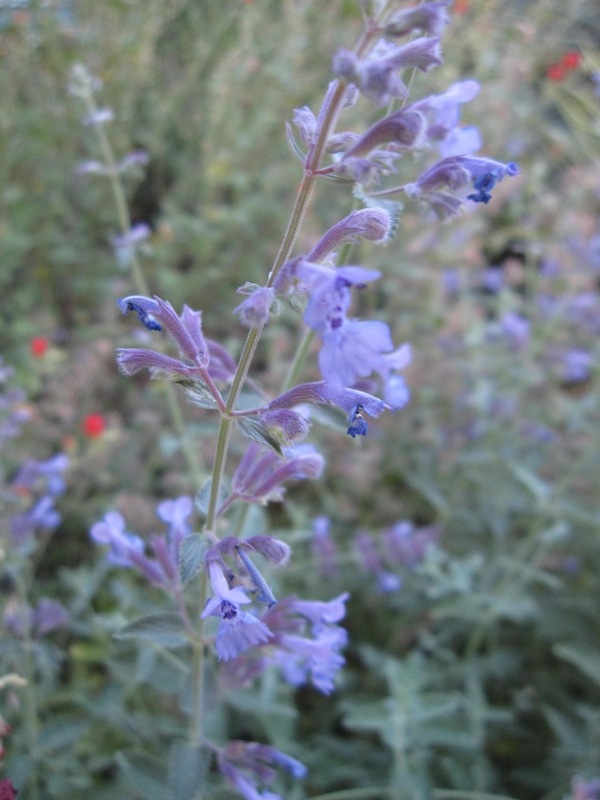 Catmint, Nepeta 'Walker's Low' delights the bees - and the occasional neighborhood cat. 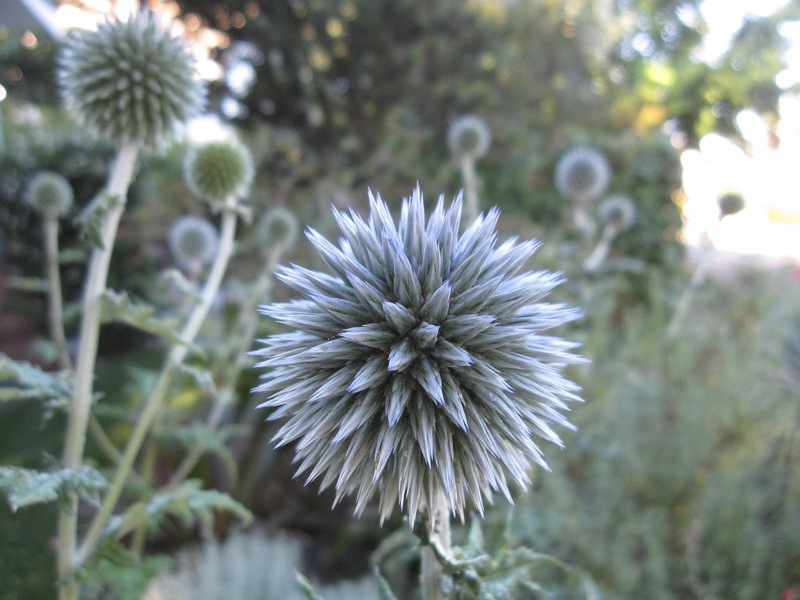 I love all the phases of Echinops ritro flowers, from the closed spiky balls like these, to the bright blue opening florets around each head. 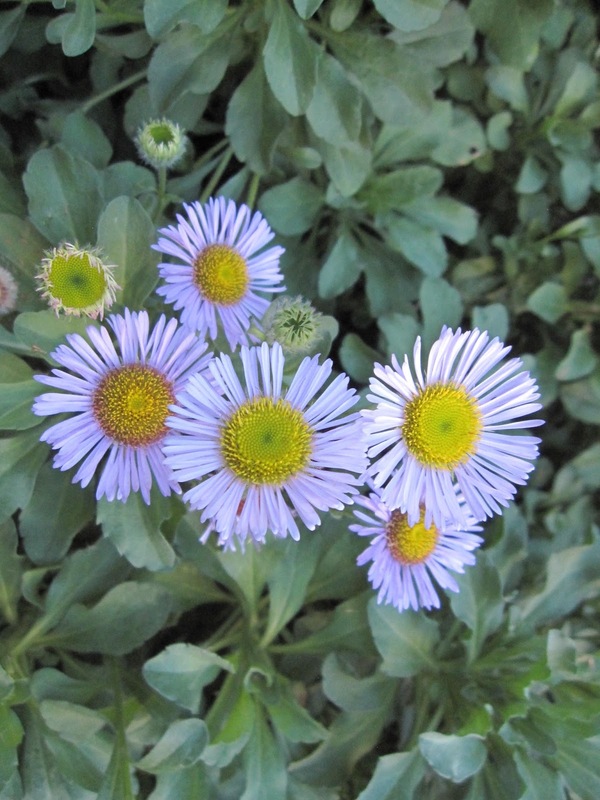 Erigeron glaucus, Beach Daisy, is a summer stalwart. You saw it last month, you're seeing it now, and you'll probably see it next month - because, hey... this is as much about documentation as entertainment, right? 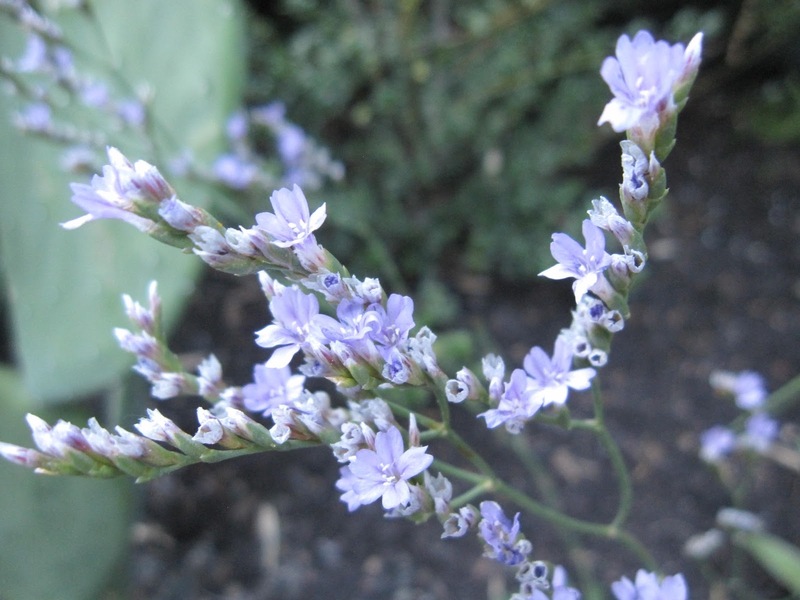 Delicate Limonium speciosum 'Blue Diamond' is a far cry from the big, papery blooms of the Statice I remember in bouquets as a child. 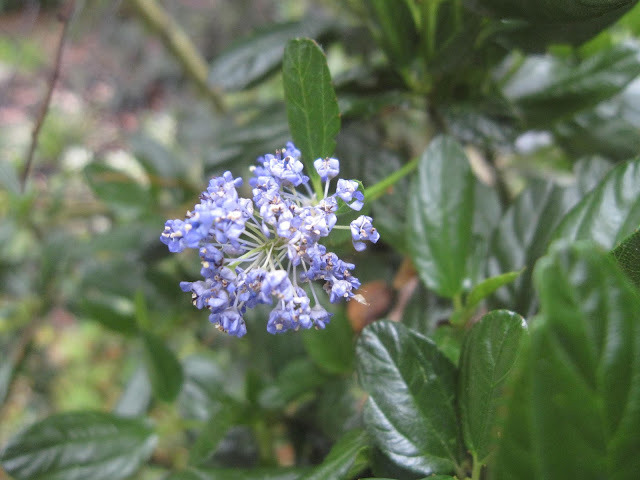 A lone Ceanothus 'Victoria' blossom. We had to remove about a third of the plant, but most of what remains is still looking fine. 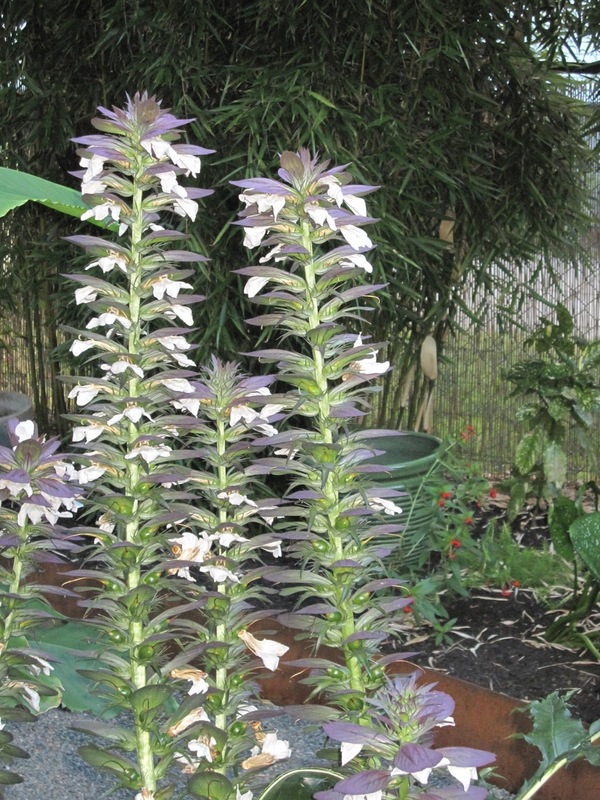 Moving into purple I have Acanthus spinosa, rearing its spiny bracts. 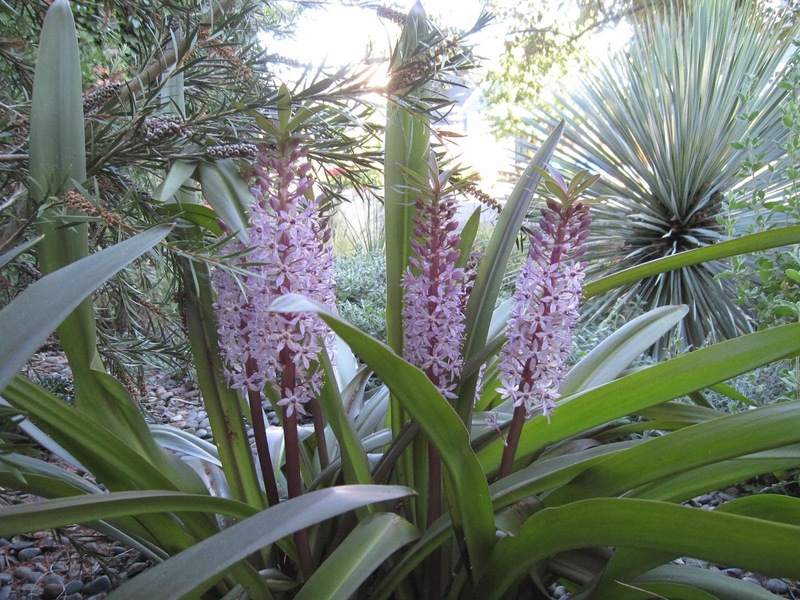 Are these Eucomus comosa 'Sparkling Burgundy' blooms purple or pink - or both? 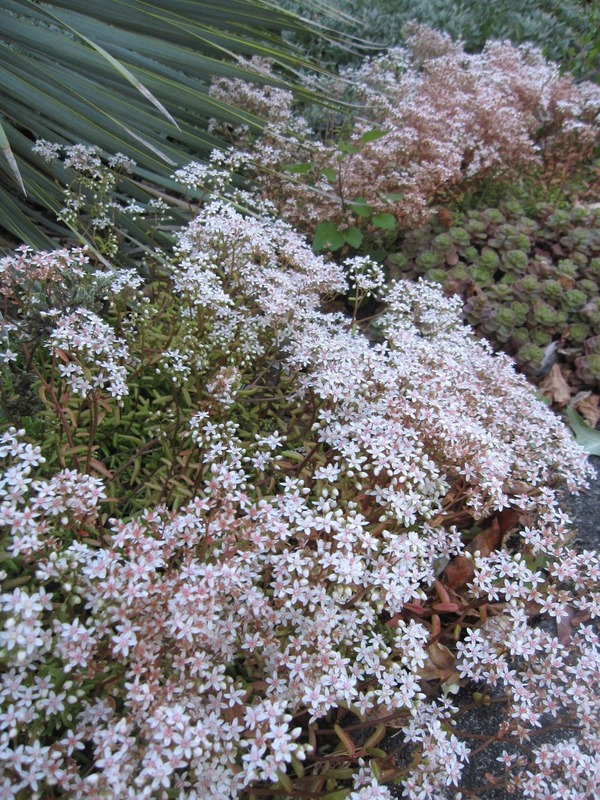 A pinky-white froth of bloom on an unknown sedum, courtesy of Patricia of plant lust fame. 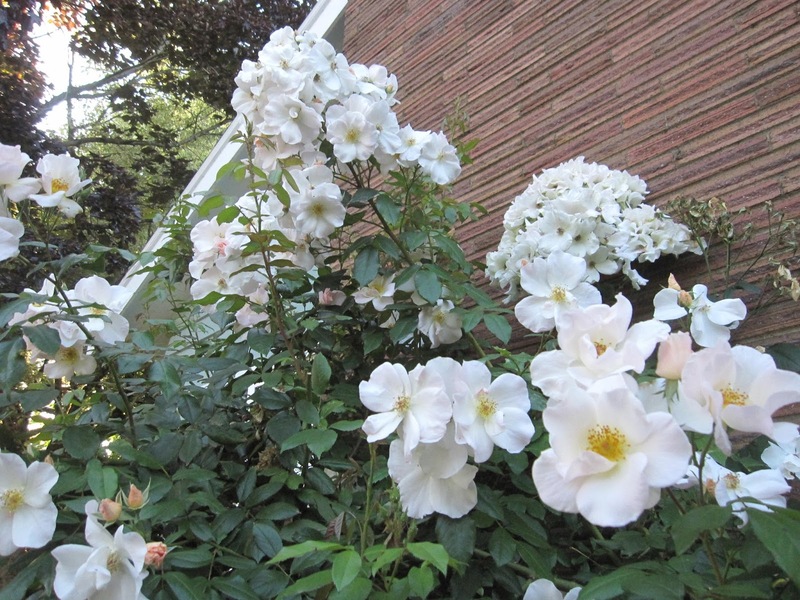 Rosa 'Sally Holmes' is having a good summer. 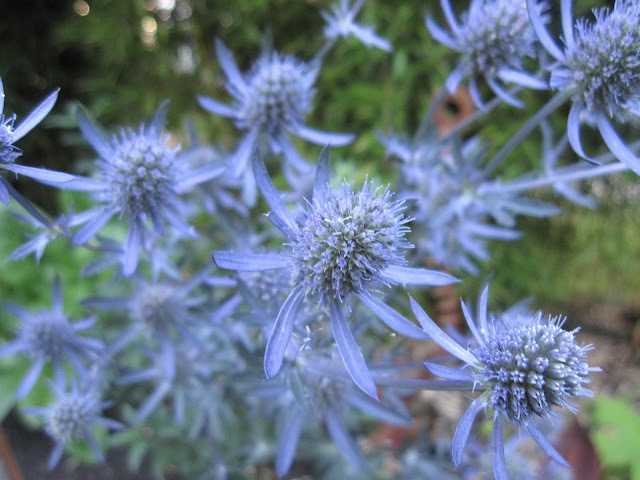 Cooler days have prolonged her blooms. 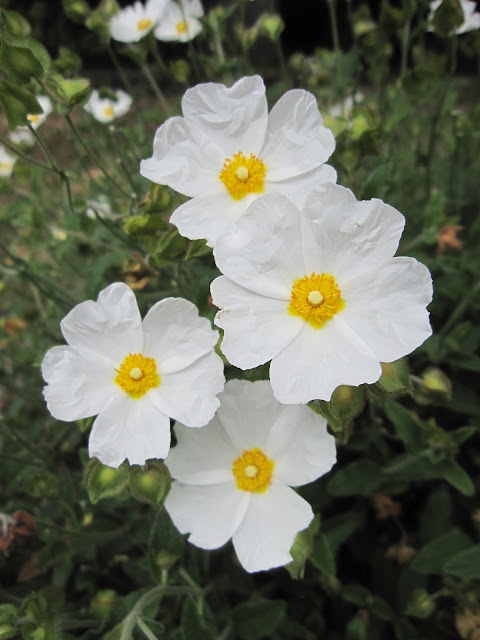 Cistus x obtusifolius blooming happily. 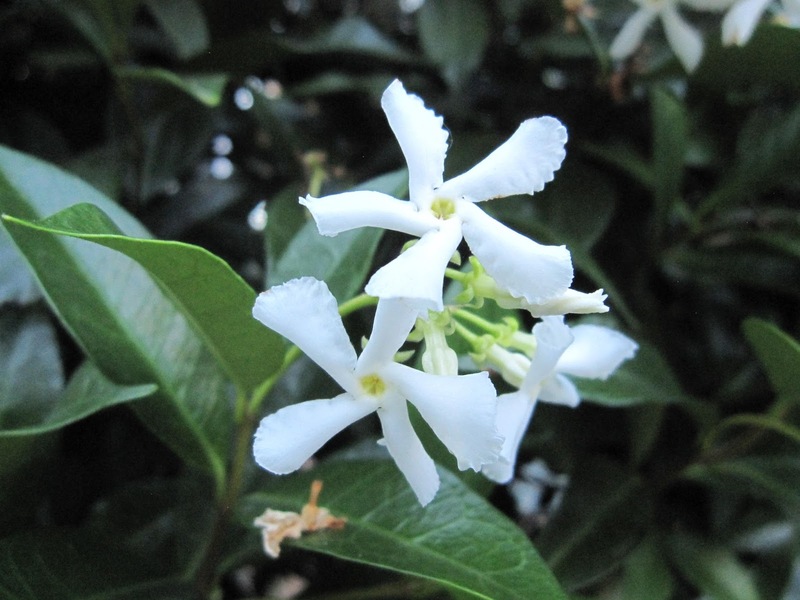 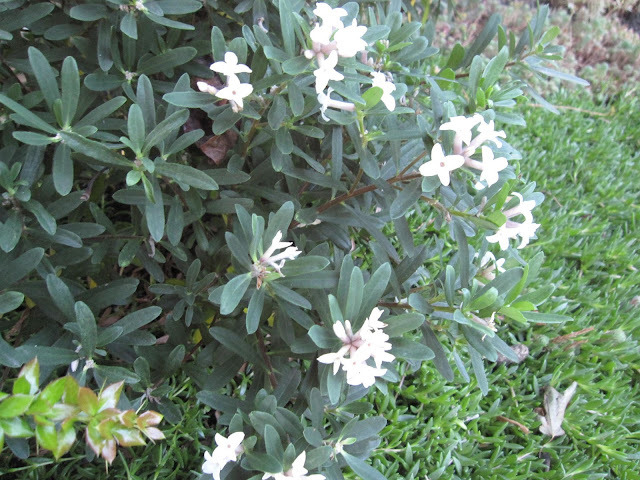 Daphne 'Eternal Fragrance' - yet again. 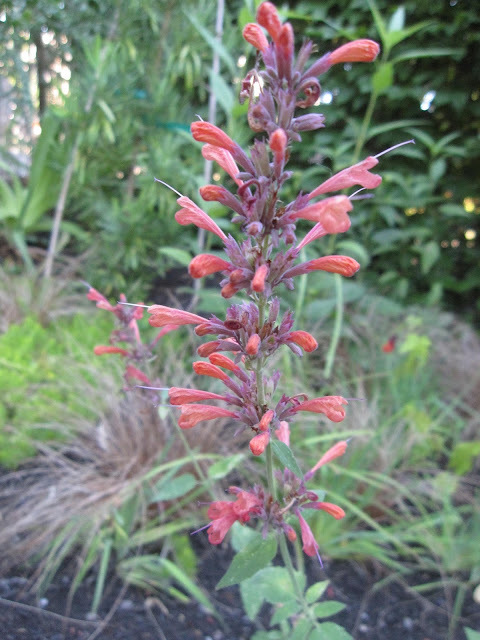 Now for some hot color! 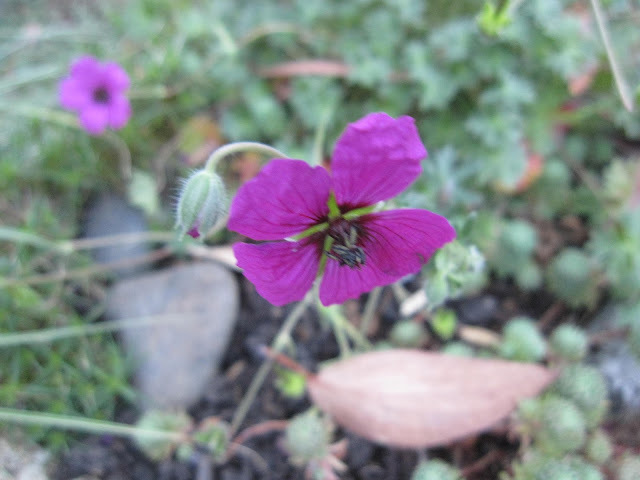 Geranium cinereum 'Subcaulescens'. I'm not a fan of our inherited garden roses, but this yellow blossom was looking too perfect to ignore. 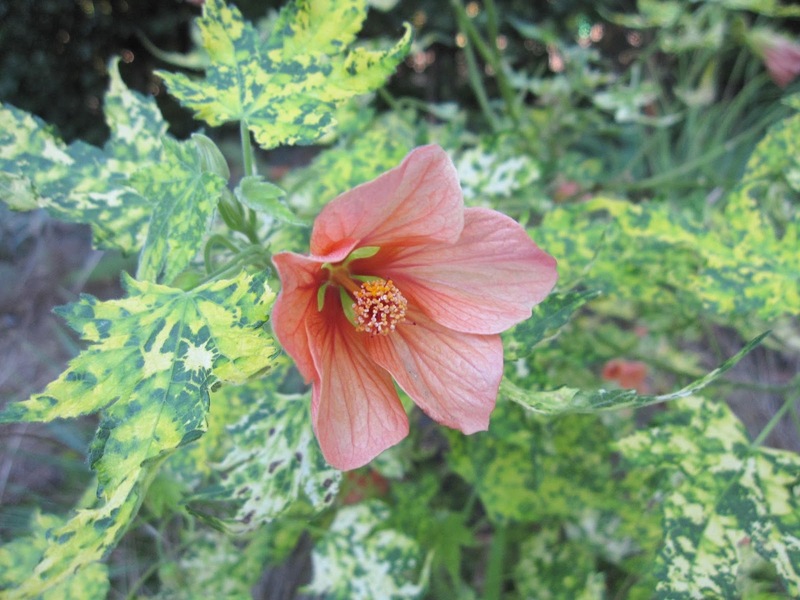 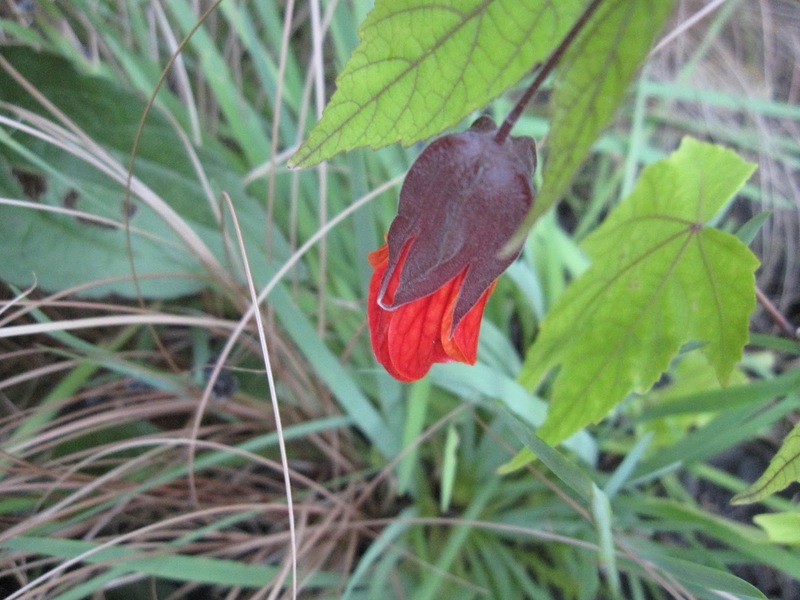 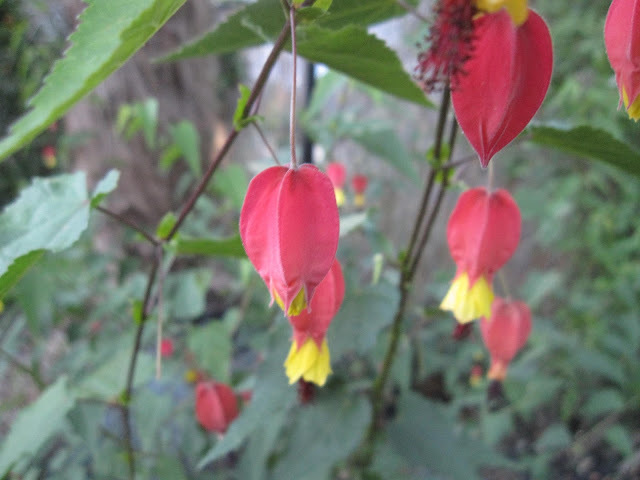 And here are all the orange blossoms: Abutilon 'Tangerine'. 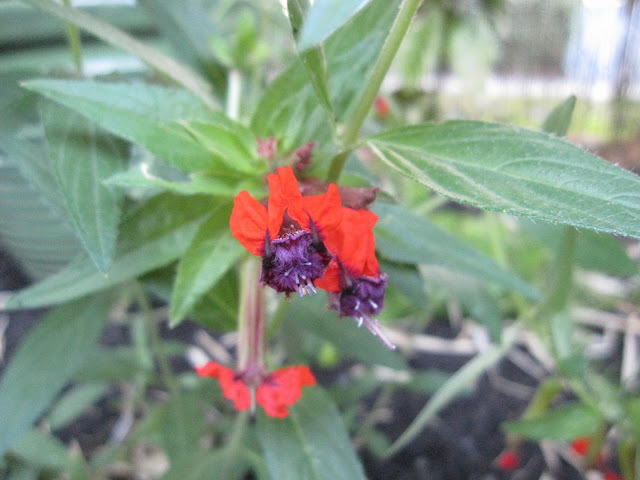 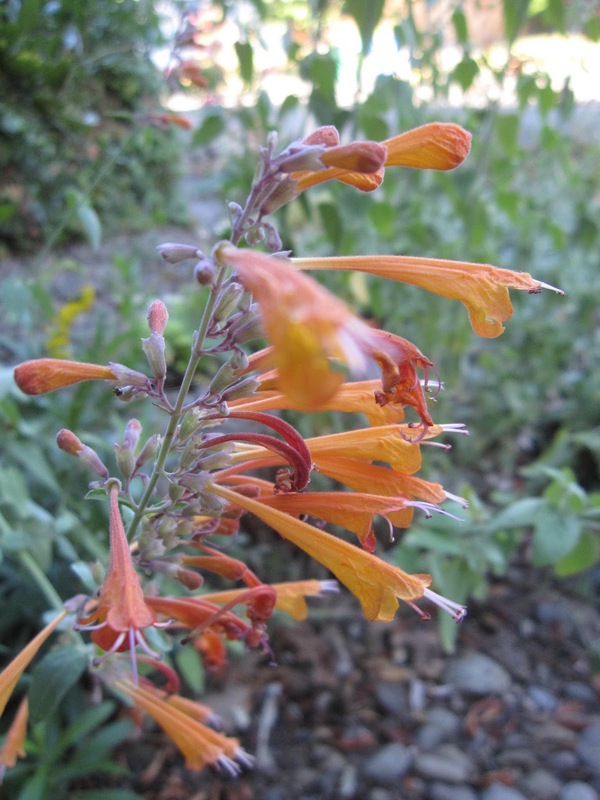 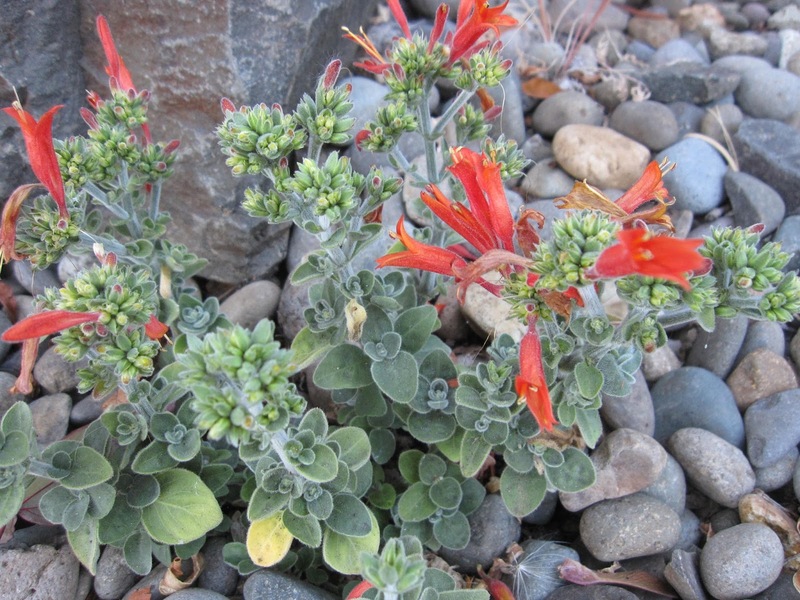 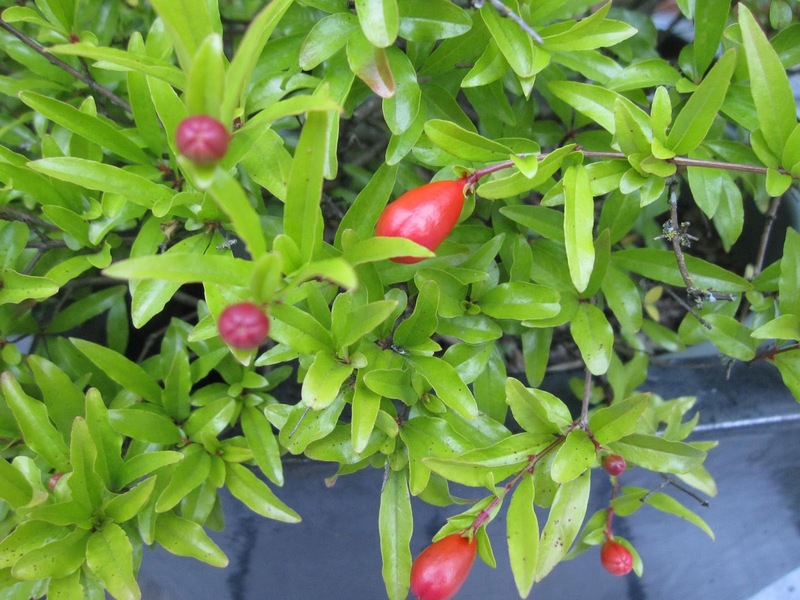 Dicliptera sericea, from Uruguay, is supposed to be a hummingbird favorite. 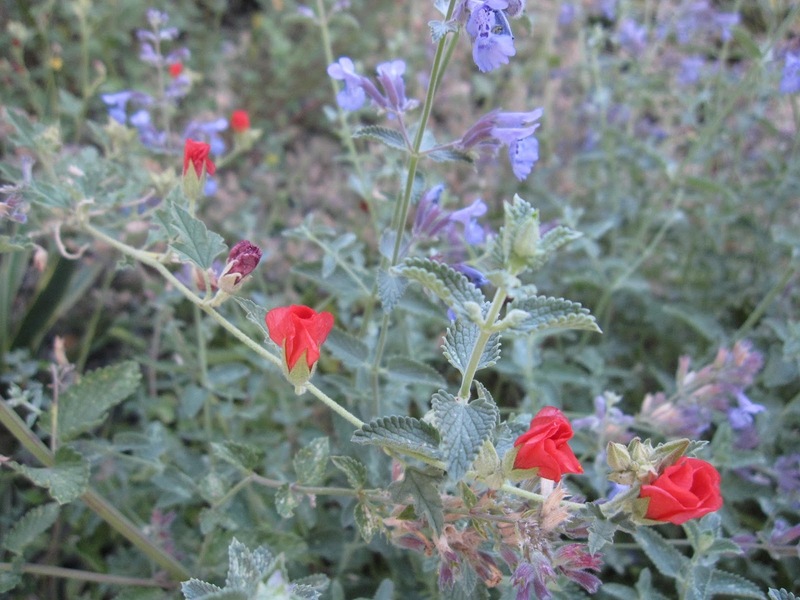 Sphearalcea 'Newleaze Coral' backed by more Catmint. Lastly, Kniphofia 'Timothy' is just the best shade of soft tomato-orange. 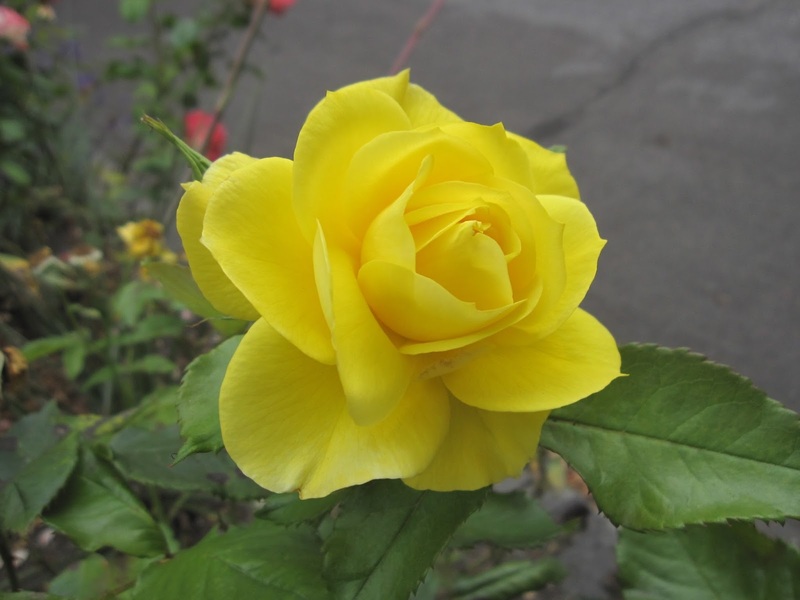 Our monthly host for Bloom Day is Carol at May Dreams Gardens. 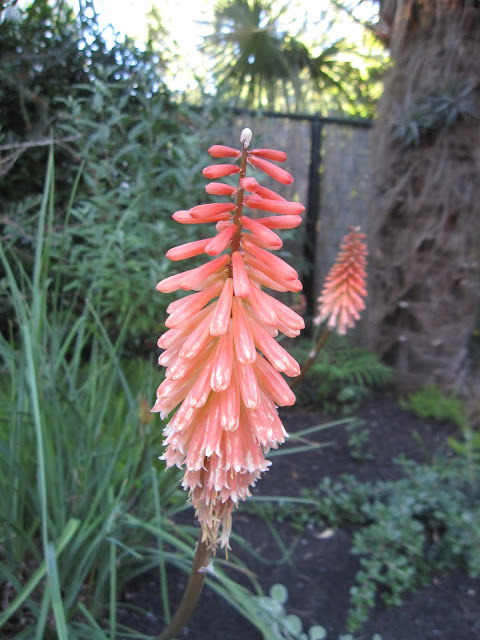 Check out what else is going on over there.